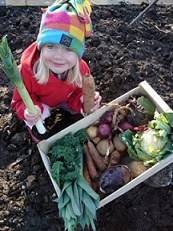 New customers are entitled to four of our organic vegetable boxes for the price of three (excludes extras). Your fourth box will not be charged for. This offer automatically applies to new customers. To qualify, you must pay in advance for your first 3 vegetable boxes. To sign up for a delivery, please register here.